Easter Greetings in the Name of our Risen Lord Jesus Christ! And welcome to this Workshop about the Anglican Communion Covenant. Let me begin by saying that I believe we are about serious deliberations concerning God’s will for His Church. I think the fundamental crisis in the Anglican Communion today comes from a loss of spiritual or theological identity. Those of us who come from the West, especially the Episcopal Church USA, have seen this identity crisis coming for many years. I first began writing on the subject twenty years ago when TEC began to introduce “inclusive language” liturgies that avoided any reference to God as “Father” or “He.” In fact, the loss of identity goes back much further to the advent of liberal theology in late-Victorian England, at the very time the CMS missionaries were bringing Evangelical Christianity to Uganda. For much of Anglican history it was assumed that the formularies – the Book of Common Prayer and the Thirty-Nine Articles – were sufficient to preserve biblical orthodoxy, even if individuals doubted privately. In fact, this did seem to work insofar as outward form was concerned. But beginning in the mid-20th century, a line of radical bishops emerged in the UK – Bishops John Robinson and David Jenkins – and in the USA – Bishops James Pike and John Spong – who denied fundamental doctrines of the Creed: the Virgin Birth of Christ, the vicarious atonement, the Bodily Resurrection, and above all the truth and authority of the Bible. In the Episcopal Church, their views were gradually assimilated into the mainstream of bishops and clergy so that today many simply take for granted their radical skepticism. The current TEC Presiding Bishop Katherine Schori speaks non-stop heresy without even realizing she is doing it. The radical takeover in the West began to spread to the whole Communion in the late 1990s. At first, many Global South leaders simply could not believe their ears; later they realized the chasm that separated their churches from those in the West. This separation became apparent at Lambeth 1998, where the liberal cause was stymied by the Resolution on Sexuality, declaring that homosexual practice was “contrary to Scripture” and “cannot be advised.” This Resolution did not stop the American bishops. They simply rejected it and refused any call to repentance from the wider Communion. Their rebellion culminated in the consecration of Gene Robinson in November 2003, which led to the production of the Windsor Report one year later. The Windsor Report, in my opinion, is a mixed bag, reflecting the mixed membership of the Lambeth Commission that produced it. The so-called Windsor process has not led to repentance or discipline of the Episcopal Church and other Western churches like Canada. In fact, the Archbishop of Canterbury has, sadly, aborted the process of discipline laid out in the Dar Es Salaam Communiqué just over a year ago by ignoring the September 30 deadline, by willfully misreading the Episcopal House of Bishops’ non-compliance, and by inviting all Episcopal bishops to Lambeth, except Gene Robinson. (Let me cite here Matthew 5:19, where our Lord says: Whoever then relaxes one of the least of these commandments and teaches men so, shall be called least in the kingdom of heaven…” The problem is not just with Gene Robinson but with those who endorse his behavior to the wider church. And these folk, hundreds of them, will be seated at Lambeth.). So in a significant way, the Windsor Report delayed and even subverted the needed process of discipline. At the same time, one significant result of the Windsor Report was the proposal for an Anglican Covenant. The Report itself offered a sketch of a Covenant, which is largely procedural in nature. In my opinion, a procedure is not what is needed but a clear and fresh statement of the biblical and historic faith. Therefore I proposed a “blueprint” of such a Covenant in January 2006, which I then adapted for presentation to the Church of Uganda. In early 2006, the Global South Steering Committee began working on its own version of the Covenant, and I was recommended by Abp. Orombi to serve on it. However, just before the Kigali meeting in September 2006, Abp. Rowan Williams appointed Abp. 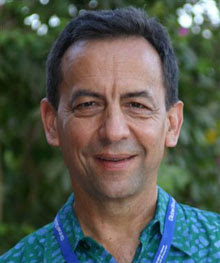 Drexel Gomez as chairman of a Lambeth Covenant Drafting Group, along with Abp. John Chew. Some of us feared that this was an attempt to co-opt the Global South group, and that does seem to have happened to some extent. There are good points in the first Draft that go back to the earlier Global South version, but it is also weak at key points. The second “St. Andrew’s draft” is even weaker, as the liberals were able to overwhelm the first draft with a raft of changes, the most significant of which is the relegating of the Primates to a second rank in the enforcement of the Covenant (this becomes fully clear only by reading the Appendix to the St. Andrew’s revision). In July 2007, I published an “Evangelical Commentary” on the Draft Covenant (first draft). I thought one could keep the good stuff from the draft and strengthen it at key places. My suggestions were ignored in the St. Andrew’s Draft. The dynamics of a hand-picked group of people who do not hold the same convictions is bound to produce a muddle. And so it has. So what do we do? I still believe the idea of an Anglican Communion Covenant is a good and necessary one. I think there remain a number of positive points in the present draft. Therefore I support His Grace’s request that Uganda submit an evaluation of the draft and suggest improvements. I hope we can do that today. However, I must say honestly that I doubt our suggestions will be any more successful than mine to date. There is, however, another value in going through this exercise. The Global Anglican Future Conference (GAFCON) will also be reviewing the Covenant idea, and it is even possible that it will adopt an alternative statement. So we shall have an opportunity not only to have input into the Lambeth Conference but to the Jerusalem Conference as well. For these reasons, I invite you to work hard today in seeing how the Covenant can be strengthened to serve a reformed and renewed communion of Anglican Christians. May God bless and guide our deliberations. Writing to the believers, Simon Peter stated, “Therefore I intend to keep on reminding you of these things, though you know them already and are established in the truth that has come to you. I think it right, as long as I am in this body, to refresh your memory...” (2 Peter 1:12-13; also Phil 3:1). As members of God’s family in Christ Jesus, we shall not tire in pouring and sharing our hearts out on what we consider to be our common classical Anglican heritage of biblical, historical and reformed formularies of faith and ecclesiology. As pointed out in various other circulated documents, we are fully aware that the ‘torn fabric at the deepest level’ of the Anglican Communion is still a living reality. Unless the primary reason for the current crisis and division in the Communion is properly addressed, and the broken and impaired communion restored, the common life of the Anglican Communion cannot be expected to continue normally. Let us face it – it is not possible to refer to the Anglican Communion in the present state as one, holy, catholic and apostolic church. The suggested idea of an Anglican Communion Covenant remains one of the key paths towards the ‘healing’ and ‘restoration’ of a Communion whose ‘fabric has been torn at the deepest level’. Healing and restoration must also start at the deepest level and we warn that stitching the surface will be futile and counter-productive. We have noted with great concern that the St. Andrews Draft has omitted the scriptural references that introduced the major sections of the Covenant in Draft one. The story of the Church of Uganda is one of obedience to the preaching and teaching of the gospel, according to the Bible. When the early missionaries announced the gospel of Jesus Christ to our fore fathers and mothers, they responded to the word of salvation. They acknowledged that Jesus is Lord and Saviour and for that reason gladly obeyed His word in Scripture. The transforming effect of the Bible on Ugandans generated so much conviction and confidence that even ordinary believers were martyred in the defense of the message of salvation through Jesus Christ that it brought. The adherents of the East African Revival, that broke out in the late 1920s and early 1930s (a movement that has shaped the ethos of our Church), were simple people who learned to take God at His Word. For the Church in Uganda, to compromise God’s call of obedience to the Scriptures would be the undoing of more than 125 years of Christianity through which African customs, beliefs, life, and society have been transformed for the better. While it needs to be acknowledged that these scriptural references are not exhaustive, they should be included and expanded to indicate that our covenant is biblically based. It is improper to relegate scriptural references to the appendix or footnotes. It is imperative to mention in the preamble that ‘human sexuality’ is the presenting issue of this covenant. It forms the context of the covenant and we need to face up to this reality. A negative statement in the preamble to indicate that the biblical norms of human sexuality have been violated needs to be included. Also in the section on ‘Our Commitment to Confession and Faith’, the church must commit itself to “upholding the vision of humanity as male and female and our Lord’s teaching on the unchangeable standard of marriage of one man to one woman (or abstinence)”. This is the presenting issue and must be firmly stated. We subscribe to the historic Anglican Formularies whose authority – under that of the Holy Scriptures - Anglican Christians have accepted. These historic formularies include the Thirty-Nine Articles of Religion, The Book of Common Prayer (1662) and The Form and Manner of Making, Ordaining and Consecrating of Bishops, Priests and Deacons (commonly called The Ordinal). These are too important to be relegated to a footnote in section 1.1.2 (note 4). We suggest that this note be moved to the main text of the Covenant and their role in our Common Catholicity, Apostolicity and Confession of Faith clarified. The concept of the churches in the communion being individually episcopally led and synodically governed has been emphasized on several occasions without being clarified. We suggest that this be elucidated in the Covenant. The Covenant needs to put in checks and balances between episcopal leadership and synodical governance. The episcopacy has for long been understood as institutional rather than being missional. This needs to be corrected and clarified in the Covenant. The episcopate should submit and be answerable to some authority instituted by the individual provinces of the communion. This Covenant needs to address the issue of the place of the Archbishop of Canterbury and Lambeth. While wishing to respect the historical origins of our Anglican tradition, we have concluded that it is no longer possible in the present state, to continue to take the Archbishop of Canterbury as an instrument of unity in the Anglican Communion. It is hereby suggested that the headship of the Anglican Communion be separated from the headship of the Church of England. The current state is source of conflict of interest since the Archbishop of Canterbury is one accountable to the State (The United Kingdom) and the Anglican Communion. Besides, the appointment process of the Archbishop of Canterbury continues to be a function of the civil authorities in England and this can no longer be allowed to continue. The sum of all this has in a way contributed to the current theological impasse in the Anglican Communion. The Church of Uganda recommends a head of the Anglican Communion who is one among equals – the Primates will have responsibility to choose among themselves one to head the communion for a specified period. We take the view that the Lambeth Conference is a conference of Bishops. If this understanding is correct then it is not necessary to locate permanently the conference of Bishops in England. This conference should be rotated in the various member provinces of the communion. We acknowledge that in the most extreme circumstances, where member churches choose not to fulfill the substance of the covenant as understood by the Councils of the Instruments of Communion, we will consider that such churches will have relinquished membership in the Anglican Communion. True repentance of erring people should be seen before they are re-admitted to the communion. Pastoral concern will continue even to those outside the communion. The St. Andrews Draft has given the ACC the final say in matters of discipline and this is not right. The Primates should have an enhanced role in matters of the communion including disciplining of erring members of the communion. The Primates and not the ACC should have the final say. The ACC should be more of a mission body – mobilizing people for mission rather than being judicial. In his instruction to Timothy, St. Paul wrote: ‘Pay close attention to yourself and to your teaching; continue in these things, for in doing this you will save both yourself and your hearers’ (1Timothy 4:16). A consultation of Church leaders and theologians set up by His Grace the Archbishop of the Church of Uganda – The Most Rev. Henry Luke Orombi, met on March 27th, 2008, April 10th, 2008 and May 5th, 2008 and deliberated on the St. Andrews Draft of the Anglican Covenant and came up with a statement which was carefully studied and approved by the House of Bishops of the Province of the Church of Uganda on May 6th 2008. This now forms the official response of the Church of Uganda to the St Andrews Draft Covenant. A list of Church leaders and theologians of the Church of Uganda involved in the consultation is attached. Church of Uganda: Position Paper on Scripture, Authority, and Human Sexuality: May 2005; Statement from the Global South Primates Steering Committee, London, March 13-15, 2008. This is the encounter of the believers in the Church of Uganda with the Bible. It might be helpful to put a footnote at 1.2.2 section of the Covenant pointing to an appendix that explains the experience of believers with the Bible in other areas of the Anglican Communion. This is further clarified and confirmed by the Chicago Lambeth Quadrilateral 1888. N.B. I was the host of the first meeting and presented opening remarks. I also distributed my "Evangelical Commentary" based on the first draft, from which the language of the "enforcement clause" was taken. I was not, however, present for most of the sessions. The final version of this critique was forwarded to the Covenant Design Group prior to the Lambeth Conference in July 2008.